It has been some time since I bought the digital album of Brunt. The album was rusting in my folder so I had a give it another listen to write about. If you are into instrumental sludge Brunt is a band that you don't skip. The Facebook page of Brunt is run by Elliott Mariess who is also the bass player of Brunt. 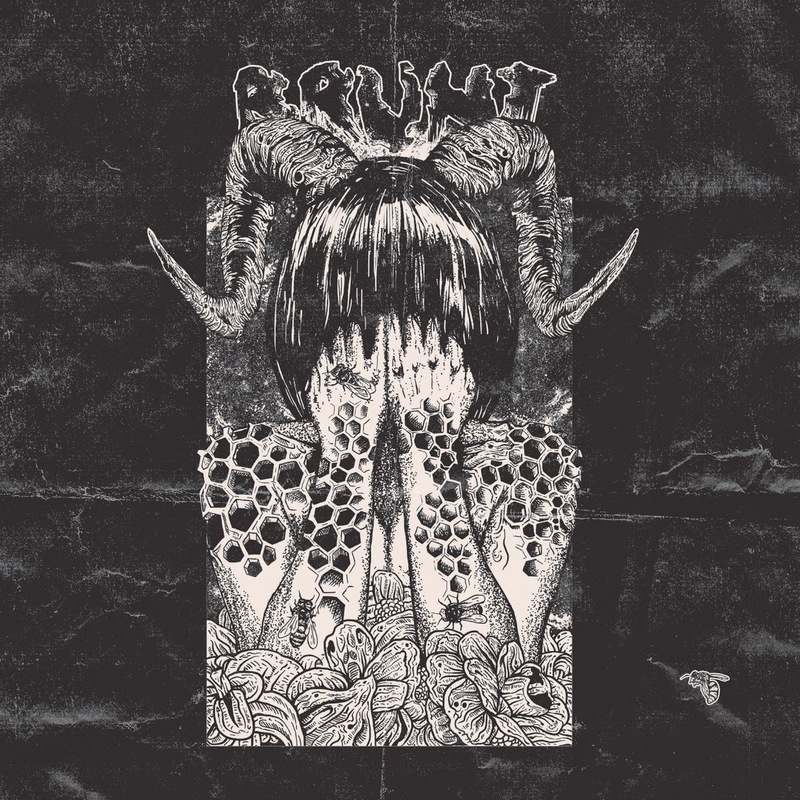 Brunt also offers great footage on Youtube if you purchase their album on Bandcamp. So grab your drink enjoy the warm-fuzz of Brunt. St. Felix of Nola kicks off with a slow-head banging riffage with a slight hint of an effect. It has a little Southern sludge feel to it. Instead of bashing your head to the walls, Brunt also takes the approach of variety in their songs. Raw Goat starts with a nice guitar riffage than it elevates skull banging riffage that makes you want to ride a giant goat in the endless fields of wherever while spitting fire! Elliott got very heavy bass tone in the songs. The bass presence is heavily felt. I do not like listening an album from beginning to end so I skipped to Out of Paper, it is a bonus demo track of Brunt. Although the song is raw , it gives the feeling of solitude, lonileness and the vast lands of desert. The sound of Brunt makes simple riffs sounding heavy. In addition to that the songs are well structured. I can play The Tale of Hideous Tricorn all day long on loop without getting bored. Rabbit of Cannabong , my favorite song of the album starts off with Motörhead-like riff and quickly comes back to the good old riffage of Brunt; fuzzy stomps of high buffalos jumping up and down in the vast lands! This song is definitely one that I would love to listen live. A Concise History of Swob Monster Pt.1 (Birth of Fuzz) again shows us the magnitude of riffage that Brunt is capable of. There is nothing to say really other than the wonder about what these guys are reading about when they name their songs. I got nothing on "swob monster". Really. I don't even know what that means but there is one thing for sure; As a guitarist I would love to jam with these guys one day and exchange some riffs. Check out Brunt's music and pay close attention to Guernsey Islands where Brunt spawned. Elliott just informed me that Terrorizer is writing an article about this place. Well...we just have to wait and see who sacrificed their soul to Satan in exchange for some riffs.